The governor’s proposed budget for this fiscal year (ending in June) initially opined we’d be raking in a lot more. The governor’s office recently reduced its estimated tax revenue budget – previously beefed up based on the projection of booming marijuana sales. CNBC reported the state overshot its anticipated cannabis tax collections for the first have of last year by about $101 million. Eventually, state lawmakers believe the cannabis industry may be able to bring in somewhere between 8 billion and $20 billion for California, but right now, that seems unreasonable given that so many have been grounded in their first year. 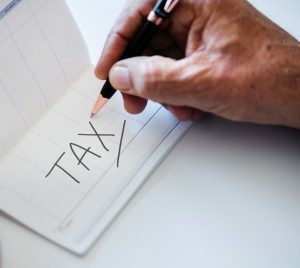 Will Tax Cuts Save California Cannabis? Los Angeles marijuana business attorneys know tax reduction is a very good start. For a product that is safe, legal and has a host of medicinal properties, the tax rate is far too high. But we and the cannabis businesses we serve know even that may not be enough. The other problem is that we have this onerous maze of regulation that is extremely expensive. That has led some farmers and retailers to sidestep the system for licensing and just go straight to the streets. Although it’s not a route any attorney would recommend (in large part because it will put you at high risk of unwanted attention from federal authorities), it also dings those in the legal market trying to do it right. It’s a form of unfair competition – one the state government has a way of controlling. If burdens from both the regulatory and tax sectors could be lifted, the law-abiding marijuana cultivators and retailers would have a decent shot. As it now stands, 30 states have passed laws allowing marijuana as medicine, about a third of those allowing for adult recreational use.